I seen these on Home Bargains instagram photo post they did and just had to go out and buy some. I bought two baby pink coloured ones and two baby blue coloured ones. 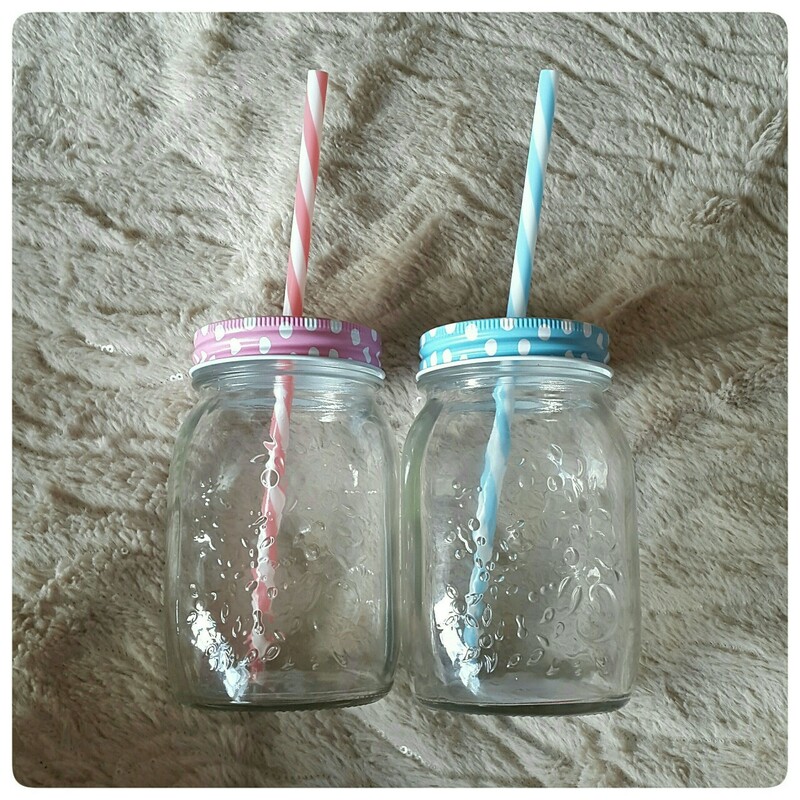 These are just perfect for those lazy, hot summer days and nights; these iconic mason jar glasses feature the classic screw top design, ensuring that you can easily grip your beverage, and focus on enjoying yourself. Whether creating classic cocktails, drinking home made lemonade, or sharing an amazing summer punch, these glasses will be at the heart of every barbecue and garden party this summer. They are awesome! Price: only 79p each.